We do not know for how long the site Butleigh – Butleigh Wootton has been inhabited but before the Romans came to Britain the area was occupied by the Celtic Dobunnii tribe, and to the left is a coin of their King Comux circa 10 – 15 AD which was found in nearby Evercreech over a century ago. The obverse shows a horse with wheel below [a corrupt copy of a coin of Philip of Macedon with horsedrawn chariot] and inscription above, and the reverse has a depiction of a medlar tree. Of course we now know that there was a major Roman Villa at Butleigh and a series of excavations have been carried out by Absolute Archaeology. This site may have been occupied up to the 7th century if not later. Alfred the Great's grandfather, Ecgberht of Wessex, granted 20 Mansiones (hides) at Butleigh to Eadgils, his minister of the West Saxons in 801 AD. The land was subsequently given to Glastonbury Abbey. It seems fairly probable then that the area has been continuously occupied by one group of people or another for some 2,000 years. 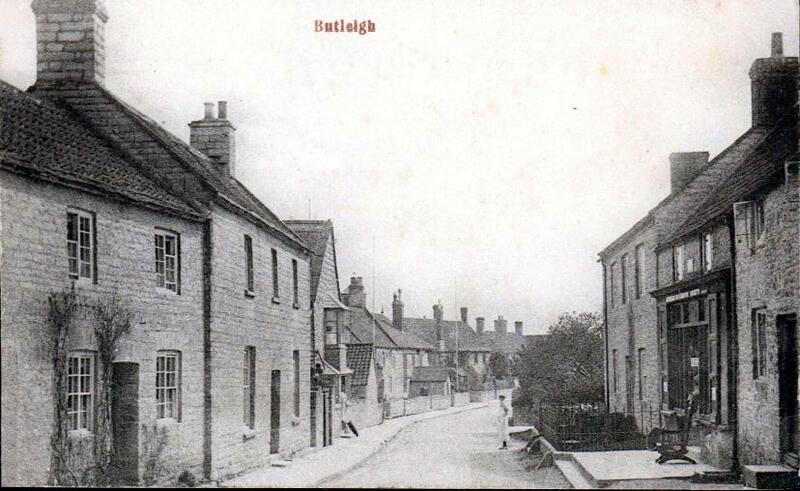 This website takes a look at the people who have inhabited Butleigh from around 1500 up to the beginning-to-middle of the 1900's – a time when the population was more static and families remained in the villages for a generation or two, something which now is a thing of the past. 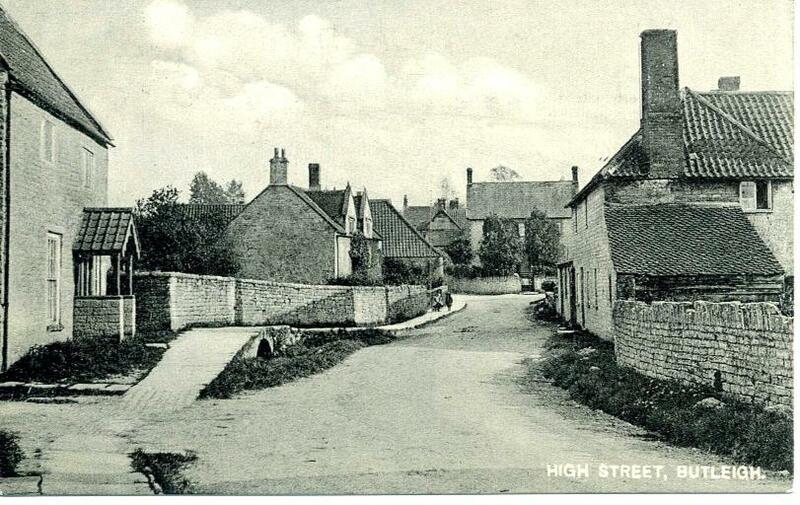 My first step was to transcribe all the Censuses 1841 – 1901, not only for Butleigh but also for Kingweston. Apart from the censuses I no longer included Kingweston in this research because the material is simply too great for Butleigh on its own. The 1911 census has since been added to the site but not listed here separately. 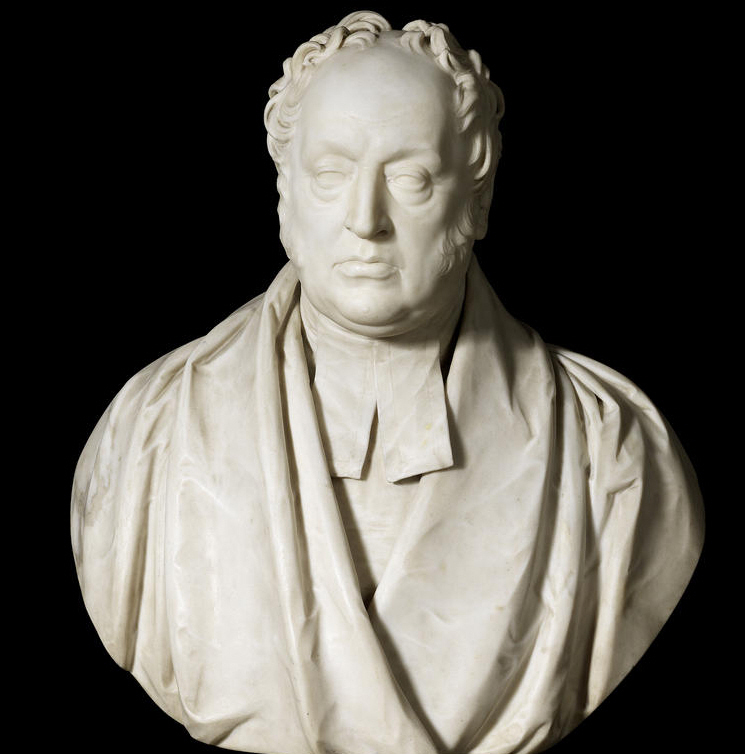 The government made it more or less compulsory to record all Births, Marriages and Deaths from 1837, and since this coincided with the inception of Queen Victoria's reign, it seemed logical to add this information to my pages where possible (from the Free BMD site) to the census information (beginning in 1841), in order to give greater accuracy and allow researchers to easily acquire copies of BMD certificates from the GRO. Where possible I have followed all the people listed on the Butleigh censuses, even if they subsequently left Butleigh, and also tried to trace the origins of those inhabitants not actually born here. I expanded the search to all people who were living elsewhere but who claimed to be Butleigh born or could be shown to have lived in Butleigh at some time. At that stage it became obvious that I should also transcribe the Parish Registers and this I have done - Parish CMB records from 1578 to 1908 – some revision is still required for my transcriptions [the originals are very hard to read, especially those that are water damaged] and I have discovered the odd discrepancy when comparing the Bishops Transcript copies. In 1677 Butleigh acquired a new vicar, John Radford, and for the next 37 years no Parish Records of Christenings, marriages nor burials seem to have been kept by him. This has caused a terrible break in the genealogical lines of old Butleigh families. However, from 1673 the churchwardens kept their Churchwardens Accounts which included some personal names during this period and to a tiny extent they help fill this important gap for genealogists. These accounts also provide an interesting view into village life during this period 1673-1766. I have now also transcribed the accounts of the Overseers of the Poor from 1673-1836 which I have incorporated to some degree into the main alphabetical files. The very poor and the wealthy are reasonably well covered in my research but the largest group in the middle still need work and researching and transcribing Wills will help though I have less and less time for this pursuit. Many of the people who inhabited Butleigh in the late Victorian, and subsequent periods were photographed at some time and I would like to include images of as many of them as possible. Should you have any and are willing to share them with everyone, then please contact me. One valuable source of images has been the famous 'Butleigh Revel of 1906 in which most villagers participated. 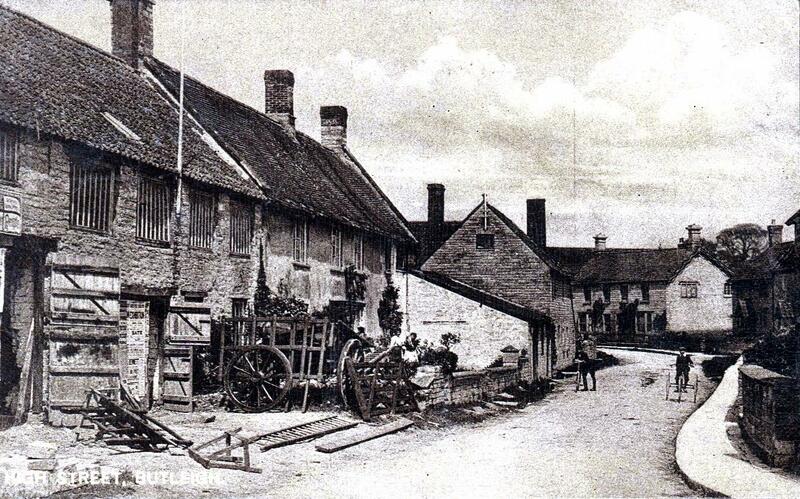 This was the most famous event to take place in Butleigh and it was reported in the national newspapers. Several of the people in the pictures still remain unidentified. I have put together everything I can find on the Revel in this separate file, including a preliminary 'cast' list. If you can identify any of the people illustrated in the pages shown there then please, again, get in touch. I will consider including any pictures sent to me that are related to Butleigh or Butleigh people either through links to them in Butleigh People or in a 'Picture Gallery'. Several people have contacted me as a result of seeing my site and offered me photographs and you will find some interesting images under this Picture Gallery heading including the earliest known view of Butleigh High Street c. 1865. I welcome any new material for this section. 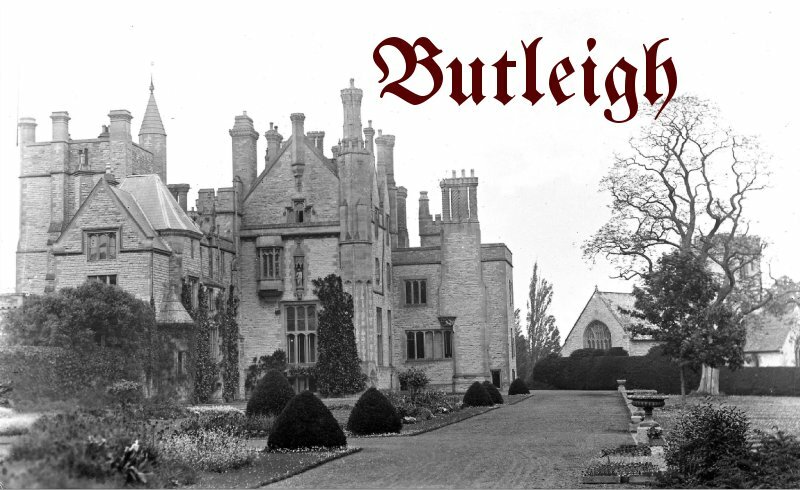 One particularly item of interest to more recent inhabitants of Butleigh, those who are living in old blue lias houses, is the Sale Catalogue of the Butleigh Court Estate which took place in 1947. In it you will probably find your house described there plus the name of the tenant at that time. I am keenly searching for a previous sale catalogue of August 1937 issued by Cooper & Tanner which auctioned off 1158 lots from Butleigh Court. Another section which I hope to expand in the future is Memories of Butleigh which is intended to record people's reminiscences of Butleigh past and include items of more general Butleigh history. Compiling this material has taken a great deal of time and effort and I willingly offer it freely for your own family research or studies, but I retain the copyright and none of this material is to be used for any other use without my permission. Under no circumstances is any of it to be used for any commercial use or publication. I have incorporated all the information from the 1911 census of Butleigh people into the site and may include a transcription at a future date. See Links Page for other useful pages when researching Butleigh and related genealogy.